I couldn't wait any longer, I had to put NailVenturous Floam on my nails! The bottle was calling my name!! Only thing is that I had seen everyone who had it post about how they had issues getting it off. I decided to just use it as an accent nail. But what do you put with it that won't take away from it's glorious beauty but would just add the right amount? Something drew me to Wake Up! by essence Color & Go. I wanted to dress it up a bit and I hadn't tried any of my new Finger Paints flakes yet. I just knew Flashy would be perfect. (and it was!!) Also, I had to put something other than a base coat under Floam. Milani's Fresh Teal is perfection and practically meant to blend in with Floam. Yesterday, I went to get the mail and to my lovely surprise, there was my May Birchbox and my first Target Beauty Bag! I was so excited! 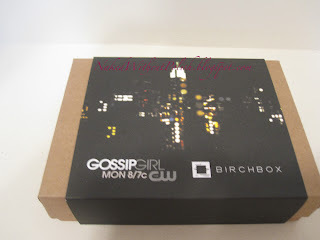 This month, Birchbox let us know that they were going to be Gossip Girl themed. I have only been a fan of Gossip Girl for the past 8 months. I came across it on Netflix and was hooked! So, I was very excited to see where they were going to take the box this month. I enjoyed my first Birchbox, but many of the items ended up being disappointing, which is why I didn't do a full review after making my original post. All I can say is this month did NOT disappoint! I'm very excited about it! First, I did a pedi and used SinfulColors - Rise and Shine, Then, on my big toe, I did 1 coat of NailVenturous - Peacock Gone Wild. Some of the pink squares had curled so I had to use 2 coats of Gelous and 2 coats of Seche Vite and I am still having issues of the glitter not being fully covered. I think this is definitely going to be a big toe only glitter. The bulkiness of this just won't fly on my hands. Nail Mail - New polishes I won! I don't know if you all have noticed, but I've kinda been on a winning streak lately. The most recent one that I've received is from Take It With A Drop Of Polish. She had a fantastic 100 Blog Follower Giveaway, that I was lucky enough to snag! I was so excited about winning this!! This gave me my third Finger Paints flake. And who isn't wanting Floam in their collection?! I went from having zero indies to 5 in a week. I'm a very lucky, lady! I have to admit it. Another Quick Giveaway I Found! Glitter Obsession is at it again, lovelies!! 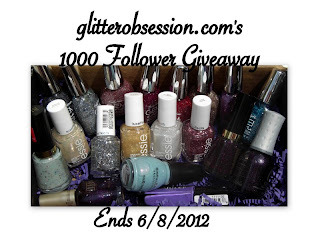 A 1000 Follower Giveaway with some awesome goodies in store for 4 lucky winners!! This is open internationally and ends June 8, 2012. Don't pass it up!! 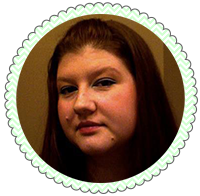 I'm a part of this pen pal swap thing a fan on Facebook is doing. I'm really excited about it! I've done swaps with people for specific items but never anything like this. I went to check out her page and saw she's currently having a giveaway! Some wonderful items, so I have to post it for you!! 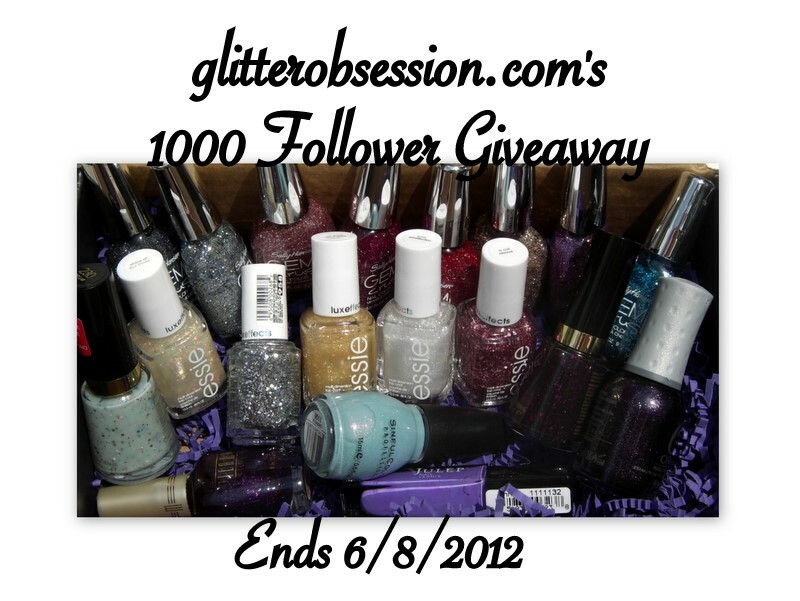 The blog is Kelly's Kolors and she's having her One Year Blogiversary Giveaway!! It is international and ends June 2, 2012 so you have PLENTY of time to enter, but I'd do it now! Don't want to miss out on this chance! Just look at all the goodies!! 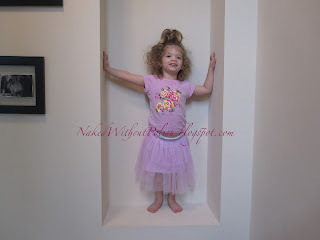 Check out her blog too! NOTD - Sparkles, Stripes and More Sparkles!! In my last post, you all saw that I received my first indie polish, Lacquistry's Undertow! I couldn't wait any longer. I needed to have it on my nails AS SOON AS POSSIBLE! The bottle itself is so mesmerizing. I couldn't wait to see the trance it put me in once it was on my nails. I knew it was only going to be my accent nail, so my next chore was to figure out what to do with it. It's bright and beautiful so I wanted something that would add to it's beauty. First thing that came to mind was the new SinfulColors Frenzy that was in my goodie bag from Andrea at Finger Painting Fingers. I wasn't sure how thick Undertow was so I decided to put SinfulColors Hot Spot under it. 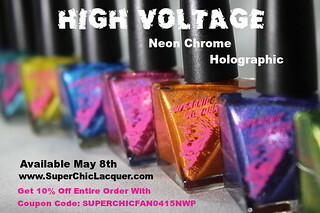 And there was no contest as to what I was going to put under Frenzy, it was SinfulColors Dream On by a long shot! Gorgeous in the bottle! I got some nail mail today that I've been SOOOOOOO excited about!! I won a giveaway that Emily at The Lacquerologist was having. I was dying to win it because I haven't had the chance to buy any indie polishes yet and if I could win one, then that would satisfy my craving without having to narrow down my choices myself. So, what was this little beauty that I finally get to call mine?! Lacquistry's Undertow. And oh man, is it pretty! So shiny!! Yes, the tile of this is a date... I have NO idea what to call this mani! Basically, I got so many new polishes this weekend, I wanted to use as many as possible. The main theme is pink though. Feeling springy! My goal this weekend was to buy for my swap boxes, not for myself. I did have a few that I ended up hiding at CVS that I wanted that I went back to get for myself. Those were the only ones I had planned on getting for myself. Then on a trip to Ulta, I came across a Zoya on clearance that I couldn't leave behind and then a couple at Giant when I went on a run to grab some things. I don't think I did badly! 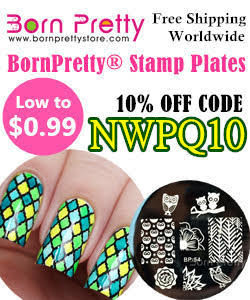 But I also got some nail mail goodies! Lots of nail mail goodies! I'm going to start with my mini hauls then go on to the nail mail.